Located in Oklahoma City next to Penn Square Mall, The Cheesecake Factory is a destination for food, fun and of course, cheesecake. 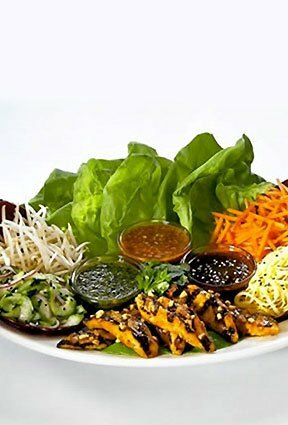 Featuring over 200 menu items including salads, pizza, specialty items and steaks, the choices seem endless. To start off your meal right, choose from the long list of appetizers, including made-to-order guacamole served with tortilla chips, salsa and sour cream, buffalo wings served with blue cheese and celery sticks, fried macaroni and cheese balls served with marinara sauce and Thai lettuce wraps. For something lighter, try the soup of the day, a Greek salad, chicken croquettes or crispy crab cakes. For your main entree, pizza is always a great idea, especially with options like Hawaiian pizza, spicy meat pizza or the everything pizza. 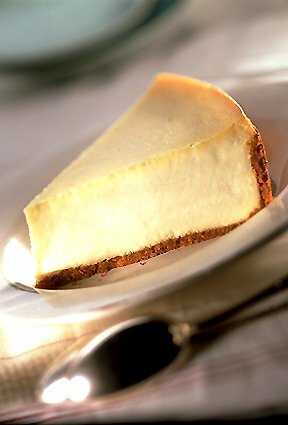 The Cheesecake Factory offers a variety of different Glamburgers, with options like the wild mushroom burger, covered in sauteed mushrooms, onions, mayo, melted Swiss and Fontina cheese, the factory burger with cheddar cheese, tomato and grilled onions on sourdough French or wheat loaf, or the Kobe burger, with American-style Kobe beef, sauteed mushrooms and onions. For something a little out of the ordinary, try the grilled eggplant sandwich, the B.B.Q. pulled pork sandwich or the grilled turkey burger. The Cheesecake Factory features delectable specialties like the crusted chicken romano, a chicken breast coated with a romano-parmesan cheese crust, served with pasta in a light tomato sauce. Or try the shepherd's pie, with ground beef, mushrooms, carrots, peas, zucchini and onions in a sauce covered with a mashed potato-parmesan cheese crust. Comfort food at its best is represented with the white chicken chili, a bowl of chicken, white beans, roasted green chiles, onions and garlic with a touch of cream, garnished with white rice and fresh salsa. The Cheesecake Factory menu also offers steaks, including a delicious hibachi steak, a grilled rib-eye and a filet mignon. 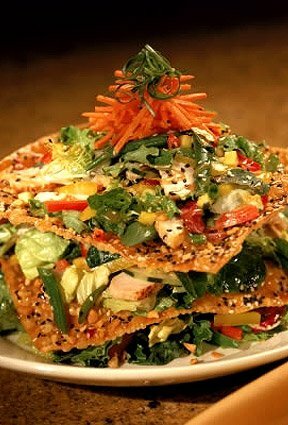 Try a fresh salad like the luau salad or Santa Fe salad. Sandwiches such as the chicken parmesan, California cheesesteak, or grilled chicken and avocado club are all served with french fries or green salad. 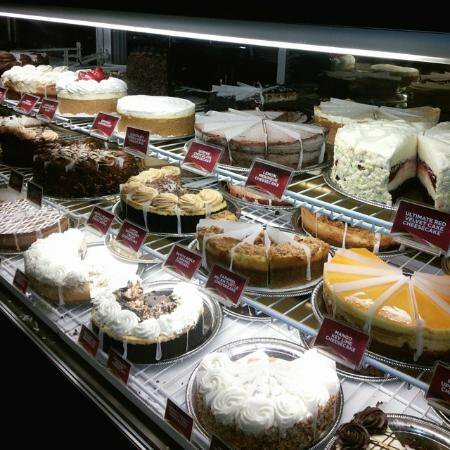 Ordering dessert is a must at The Cheesecake Factory, and with over 20 varieties of cheesecake you'll want to sample each one. Godiva chocolate cheesecake, lemon raspberry cream cheesecake, vanilla bean cheesecake and of course the original cheesecake are just a few of the luscious choices. Located on N Pennsylvania Ave between NW Expwy & NW 63rd St, next to Penn Square Mall on the west side.